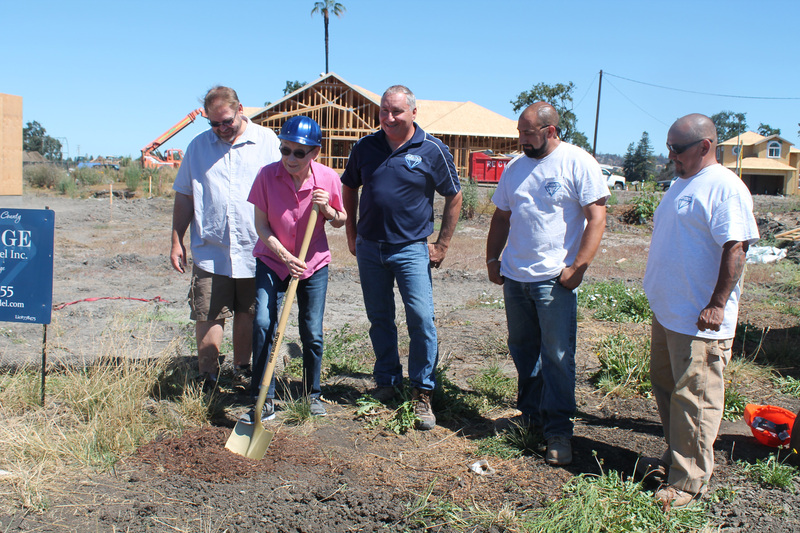 Jacqueline Dymer seen with Ozzie (Oz) Ozsvath at a ground-breaking ceremony at Miller Drive in Santa Rosa’s Coffee Park neighborhood. Jacqueline was one of the many whose home was destroyed in the October 2017 fire storm. Oz, owner of Prestige Homes & Remodel, is building a new 1,250sq/ft ranch style home for Jacqueline and anticipates having it completed sometime in November. Jacqueline is very excited to begin construction on her new home!